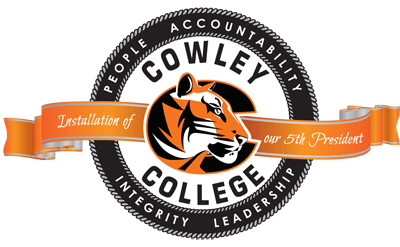 The Installation ceremony for Dr. Dennis C. Rittle, Cowley College’s fifth president, will take place at 2 p.m. on Sunday, November 15. The ceremony, which is open to the public, will be held in the Robert Brown Theatre, on the College’s main campus in Arkansas City. Students and friends of the College as well as community members and leaders from across the region are encouraged to attend. A reception will be held in the Earle N. Wright Community Room immediately following the event.